The platform is now open for submissions from solution seekers or "sponsors" of a challenge or an award/prize. Do you have a problem or question for the worlds' leading health innovators? For example, are you looking for software wireframes, blueprints, behavior change architectures, workflows, ideas or feedback from experts in the field, or do you need a piece of software development or software architecture outsourced? Or do you have an open dataset or big data resource and looking for experts to analyze the data? Do you want to sponsor a monetary or non-monetary prize/award for compelling solutions for a pressing public health problem? Is your research or development stuck because you need input from a broader community? JMIR has a network of over 60.000 potential problem-solvers and idea generators: eHealth researchers and health experts, e-patients, leaders and innovators, including the top scientists in the fields of informatics, behavioral sciences, mental health, serious games, mHealth, ubiquitous computing, human factors, bioinformatics and biotechnology (sign up here). JMIR Challenges is a new platform connecting "solution-seekers" (sponsors) (companies, or other researchers) with "solution-providers" (entrants) (innovators, researchers, developers in the ehealth space). Solution seekers submit a competition document (template here) specifying what they are looking for, the prize/award, and the detailed rules of the competition including evaluation process and criteria. After an internal review, JMIR Challenges will publish the competition document (the solution seeker can remain anonymous, if requested). In response to the competition document, solution-providers will start submitting their solutions (documents e.g. with a description of their ideas or wireframes, multimedia files, software code) to the JMIR Challenges platform. Solution seekers can review the submissions and/or subject them to additional peer-review through their judges, selection panel or external reviewers (JMIR can help finding reviewers). At the end of the process, the solution-seeker will select winning submissions. The solution seeker or solution provider may decide to publish the entries on the challenges platform or not (JMIR Challenges may eventually be PubMed-indexed). JMIR is the administrator of the competition and will make sure that the prize money will be distributed as per the competition rules. For a template for a competition document and submission guidelines see Author Guidelines. 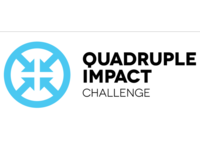 There are no costs for the first challenges hosted on JMIR Challenges. Seeking innovators and organizations seeking solutions and trying to stimulate innovation: Do you have a problem or question for the worlds' leading health innovators? For example, are you looking for software wireframes, blueprints, behavior change architectures, workflows, ideas or feedback from experts in the field, or do you need a piece of software development or software architecture outsourced? Or do you have an open dataset or big data resource and looking for experts to analyze the data? Do you want to sponsor a monetary or non-monetary prize/award for compelling solutions for a pressing public health problem? Is your research or development stuck because you need input from a broader community? JMIR has a network of over 60.000 potential problem-solvers and idea generators: eHealth researchers and health experts, e-patients, leaders and innovators, including the top scientists in the fields of informatics, behavioral sciences, mental health, serious games, mHealth, ubiquitous computing, human factors, bioinformatics and biotechnology (sign up here). JMIR Challenges is a new platform connecting "solution-seekers" (sponsors) (companies, or other researchers) with "solution-providers" (entrants) (innovators, researchers, developers in the ehealth space). Partners Connected Health develops and validates technology-based solutions aimed at facilitating collaborative care, self-management, and improved quality. From ideation to implementation, our team envisions and builds innovations that facilitate collaborative care, self-management, and improved quality. Current solutions often do not meet their goals of promoting self-care due to limited integration into the clinical workflow, and low sustainability of patient, provider, and caregiver engagement. The Partners Connected Health core mission is to define the future of technology-enabled care delivery by integrating real-world patient and provider perspectives with user-centered design principles to create clear paths toward innovation. 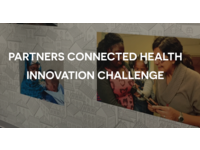 This year, we are launching the Partners Connected Health innovation challenge (CHIC), a competition geared toward finding innovative, technology-based solutions that enable care (preventive care and chronic disease management) outside of the clinic.